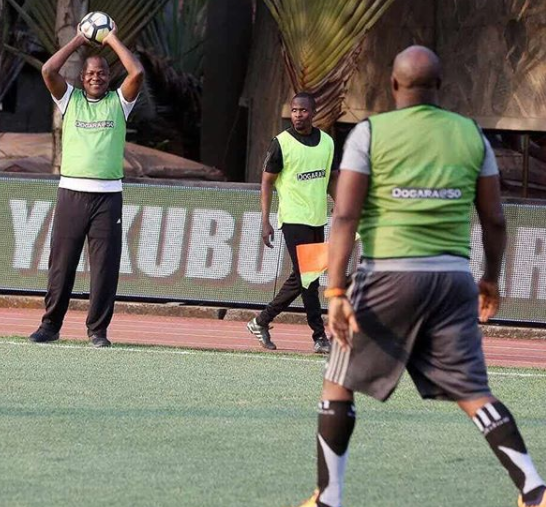 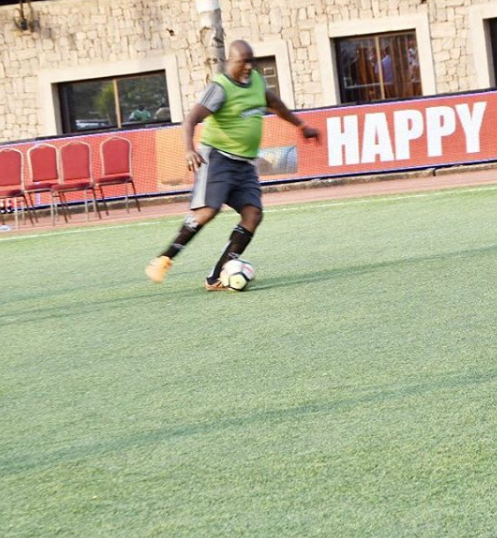 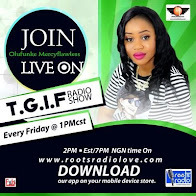 Over the weekend, their was a novelty match between politicians and members of the private sector in honor of the Speaker of the House of Representatives, Yakubu Dogara, who turns 50 on December 26th. 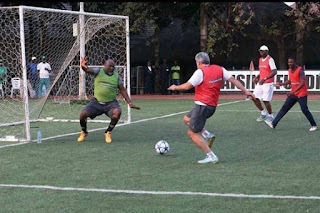 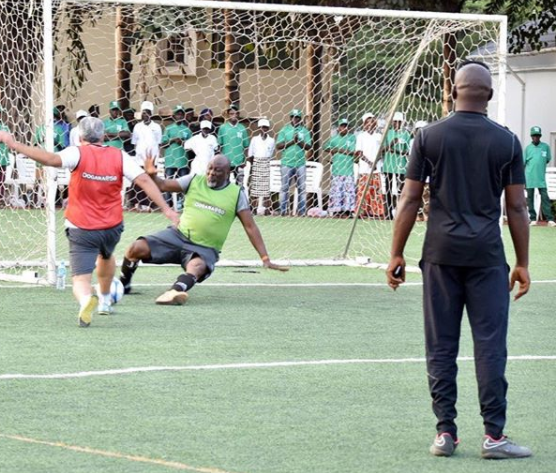 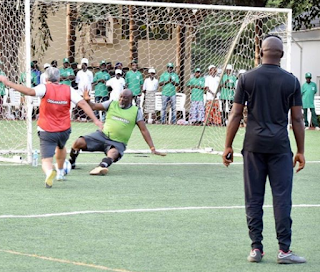 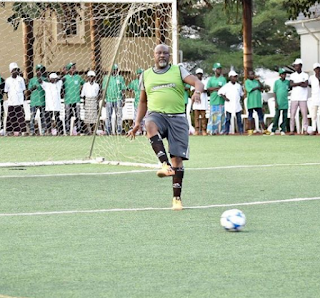 Senator Dino Melaye was among the footballer. 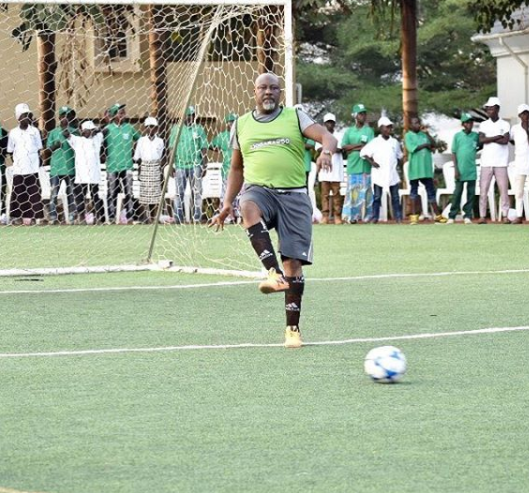 He shared photos of himself dribbling other footballers on the field.